Celebrate the start of spring with a maple syrup pancake brunch! The event will be hosted by the Polish Mission of Orchard Lake Schools and West Bloomfield Parks. 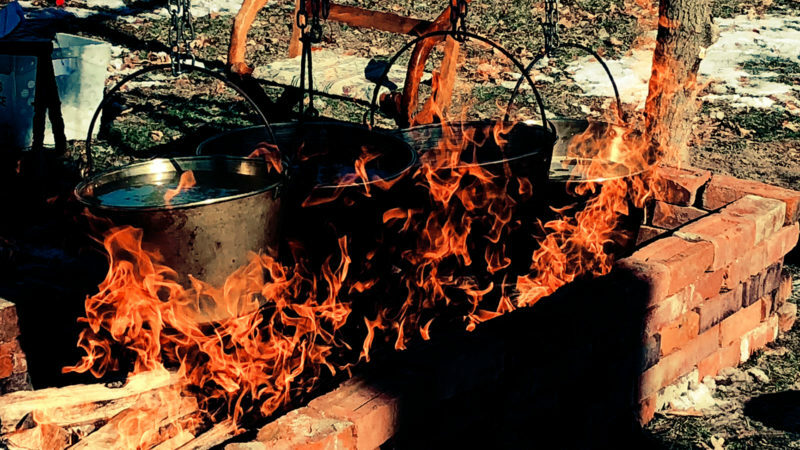 Guests will see a historical sap to syrup demonstration, learn about the other benefits of maple trees and enjoy warm pancakes topped with local maple syrup. Event also includes: tree identification, maple sugaring history, Native American crafts, a bucket coopering demonstration and an interactive nature table. Tour times (choose one) are 12:00, 1:00 and 2:00 pm. Tours last up to 45 minutes. Event subject to cancellation based on weather. Dress to be outdoors and prepared to walk on grassy, slightly sloping areas. This is a family program. Register ALL adults AND children. Advance registration is required. The registration deadline is 7:00 pm on Thursday, March 7th. This event is offered in partnership with: Copperhead Craft Guild, the Polish Mission of Orchard Lake Schools and the Greater West Bloomfield Historical Society.